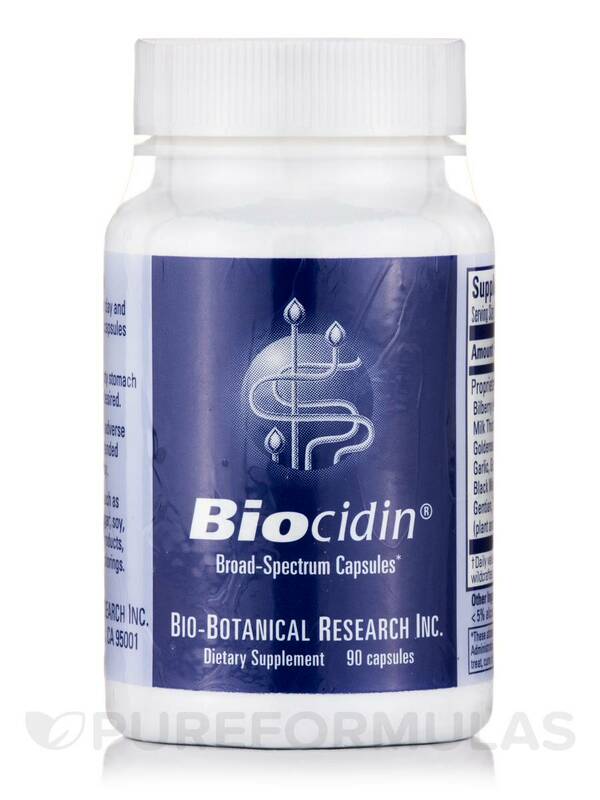 Biocidin by Bio-Botanical Research Inc works well and does not cause problems. Biocidin by Bio-Botanical Research Inc seems to help me from getting hart burn. Prescribed, along with a number of other things, to help clear out SIBO. Started on the liquid formula but switched to the pills because it was easier to bring with me and make sure I was getting the correct dose. 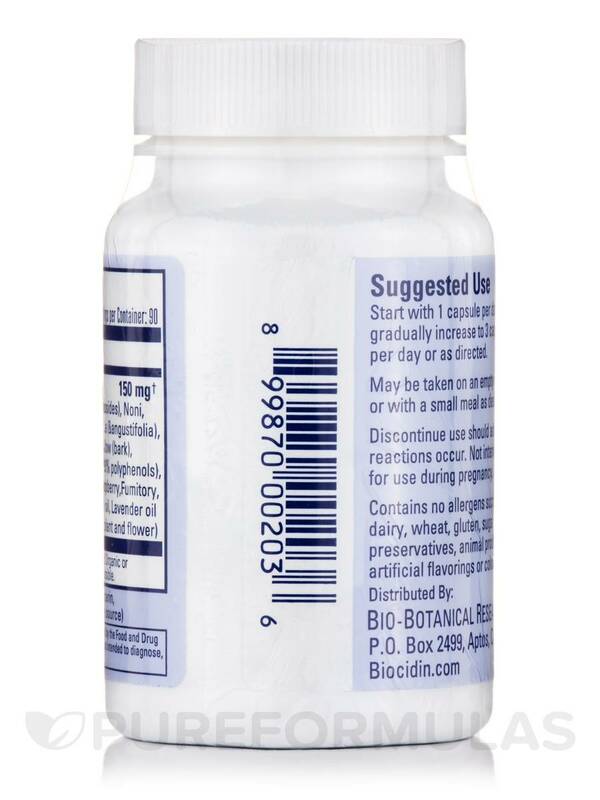 At the recommended serving size of one to three capsules daily‚ each 90-capsule bottle of Bio-Biotanical Research’s Biocidin® Capsules should last for up to three months. Certified Organic or wildcrafted sources used wherever possible. Other Ingredients: Vegetable glycerin‚ <5% alcohol (potato and/or cane source). 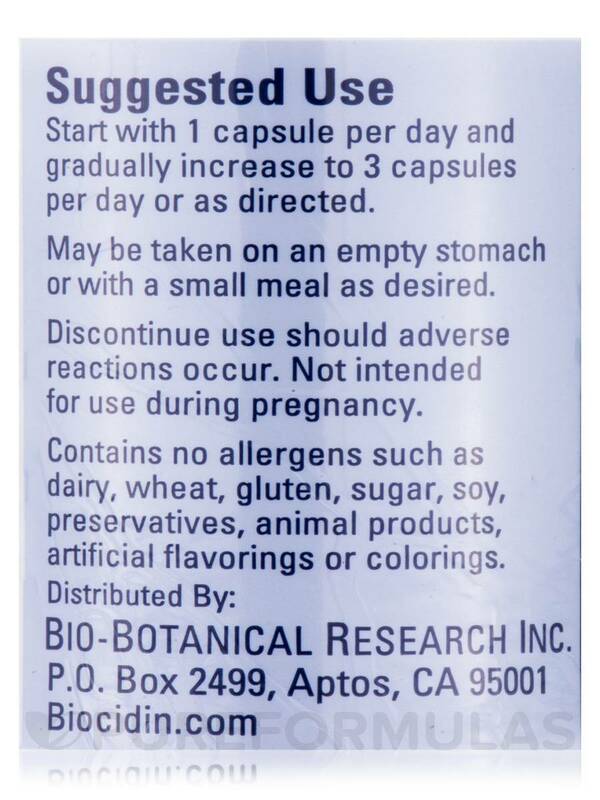 Discontinue use should adverse reaction occur. I had a especially bad case of intestinal parasites. Pharmaceutical anti-parasite barely helped at all. Biocidin by Bio-Botanical Research Inc coupled with Colonix intestinal cleanser have been producing good results. Didn't get the flu from my son. Echinacea boosts my energy. My immune system is stronger. It's the best thing I've found to kill intestinal worms. Helps with chronic fatigue. 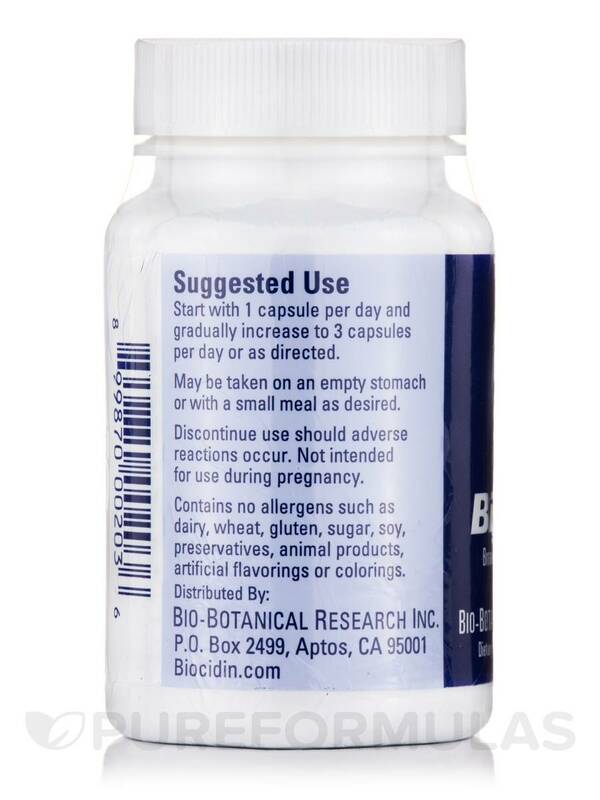 These capsules of Biocidin by Bio-Botanical Research have greatly helped my GI problems. I started using the liquid, but after 2 weeks switched to the capsules. These are great products. Makes me feel better knowing I am taking something organic. Just one a day work very well. 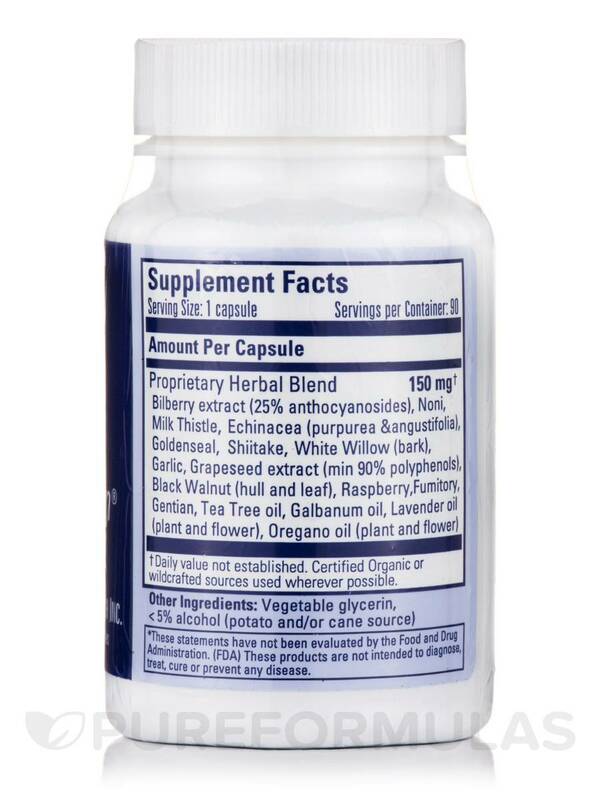 My doctor recommended Biocidin by Bio-Botanicals Research Inc for my candida. Personally, however, I did not find any benefits from taking it. Biocidin is also quite expensive, especially when taking more than two pills per day. Was not effective in helping with symptoms of candida. 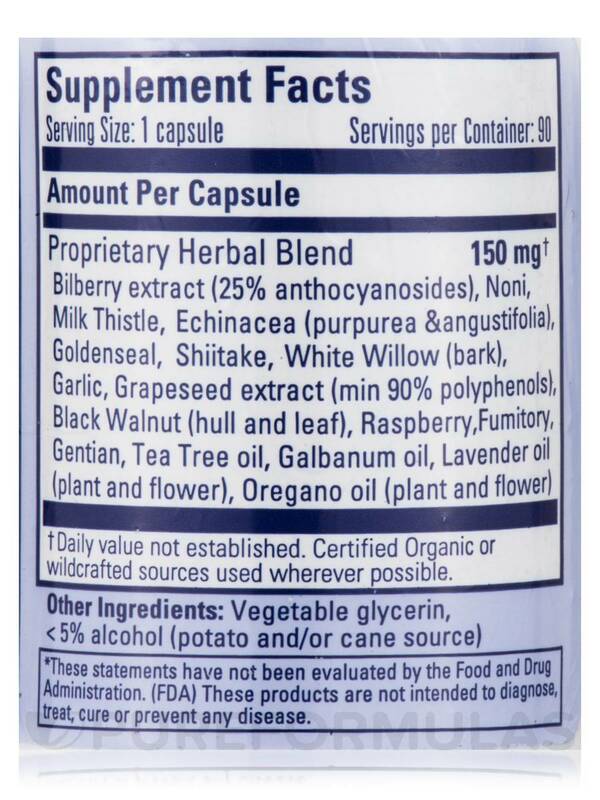 I didn't notice a difference taking Biocidin by Bio-Botanical Research Inc. The bottle doesn't last that long compared to other brands. This brand was recommended on a talk I heard prompting me to buy. You have to take multiple pills, the number depends on your weight. Per dose I think they are more expensive than other brands. Hi, The alcohol in the Biocidin Bio Botannical Research l is from a potato and/or cane source. Do you know if it's from non-GMO potato and sugar? Also, are the other ingredients non-GMO? Hi Carol, thank you for your question. This product is indeed NON-GMO. Hope this helps. Have a happy and healthy day!